12. 2 teaspoon honey, optional. 1. Dice the chicken breasts up. In a bowl, mix it with yogurt and 1 teaspoon salt, season with half of the mixed spices and set aside for half to one hour. 2. In a pan add oil. Add the whole spices and fry for a minute. Let them emit arome, before adding onions. Fry till golden, then add the potatoes. Cover and cook with occasional stiring till the potatoes are tender. You could also use half boiled potatoes to cook it faster. 3. Once the potatoes look tender add the chicken and yogurt mix in and cook with the lid on again on medium heat with occasional stiring. 4. Add beans, some more salt and the rest of the spices after 10 minutes, cover and cook for 10 more minutes. Increase the heat and remove the lid. Cook for 5 more minutes stirring not continuously but often. 4. Once it all seems to come together, add the lemon or orange juice, and the honey, and cook for about 5 more minutes. If you add orange juice, depending on the type, there will be a nice sweet-tangy taste to the dish. If you add only lemon juice it will be more tangy. You can also add both, either half and half or with more of orange juice since lemon juice tends to overwhelm every other taste. 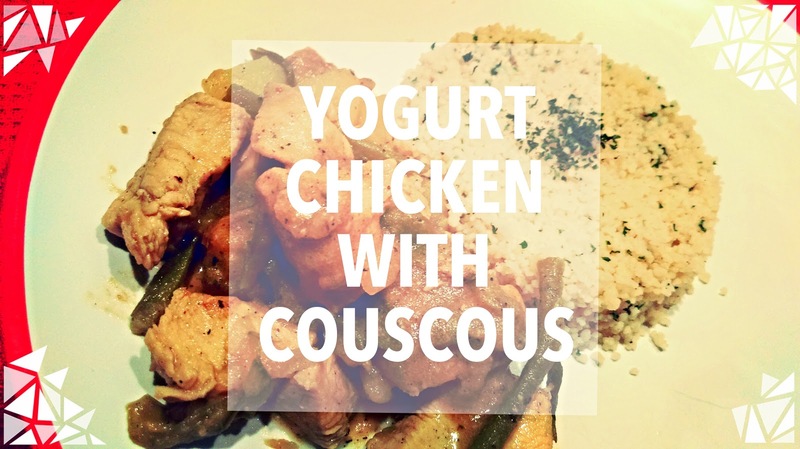 Serve it up hot with couscous. 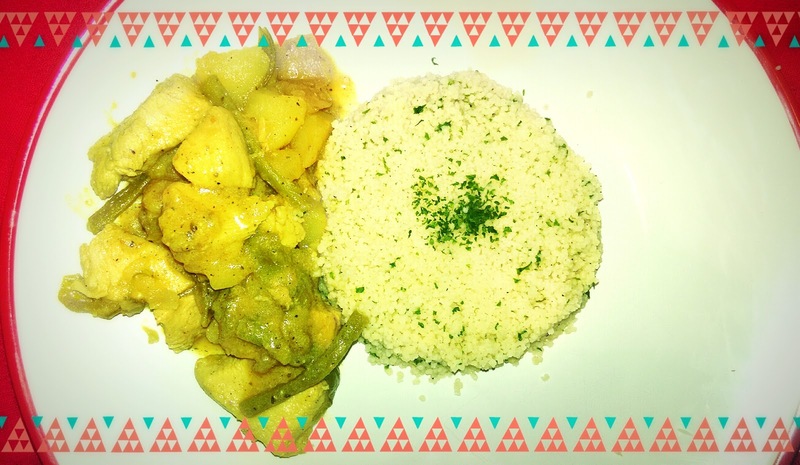 For the best couscous recipe I have ever made, check out here.